Curly hair and medium length is the most practical combination to create any hairstyle you may think of. With medium hairstyles you can try natural curly styles, bedhead messy hairstyles, or go for updo hairstyles both relaxed and polished. Zillion of styling opportunities open in front of you if you are the happy owner of this smashing combo. I am eager to introduce to you in this article a wise selection of exceptional medium curly hairstyles. I am sure you will get inspired and come to love your curly hair texture. Braided waterfall look simply astounding with the right choice of lowlights and highlights. The lazy curls create a perfect summer hairstyle for you. The natural wavy hairstyles in the picture below looks very cute indeed. It is so relaxed that no one can imagine that it may take some time to create it. The size of wave depends on the size of your curling iron. I will advice not to curl the ends and leave them shaggy, it will create more natural medium hairstyle. 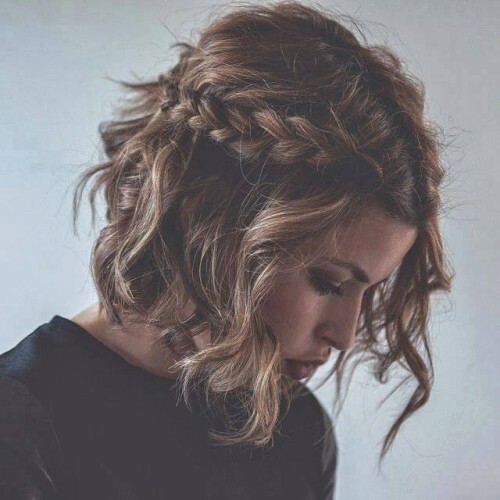 Curly bob hairstyles never go out of fashion, messy yet so trendy. The simple braid on one side will add some grace to the curly hairstyle and will make it look more gentle. 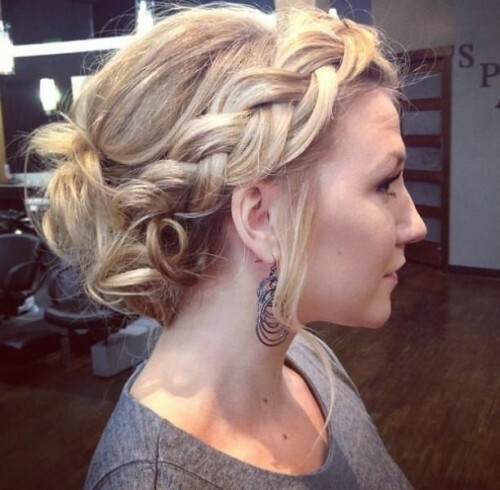 This medium updo hairstyle is a great example of messy style for a special event. The loose braid along the forehead gives some unique charm to the style. 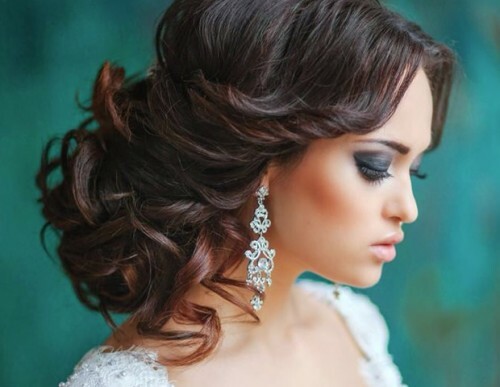 If you think that for wedding hairstyles you need super long hair you are very wrong. With medium hair you can create this amazing bridal curly hairstyle that is loose on one side yet very strict and sophisticated on the other.